Over 93,000 trees have been planted in the last six years as part of the Forest for Peterborough project. The total of 93,579 was reached after a planting day last Saturday which also saw residents in Stanground take home their own apple tree with instructions on how to plant it. 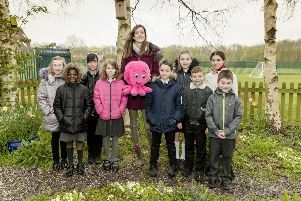 The Forest for Peterborough project was launched by the independent charity Peterborough Environment City Trust in 2010, and it aims to plant over 180,000 trees by 2030. Project Officer Simon Belham said: “Our last planting season ran from October 2015 through to March 2016, during which time 6,000 trees were planted with fantastic help from all our wonderful volunteers.